Members and guests had a meal at the Garth Hotel, Grantown prior to visiting the World War 1 Exhibition at the Grantown Muesuem which was arranged by Shona and Club Member Lewis. 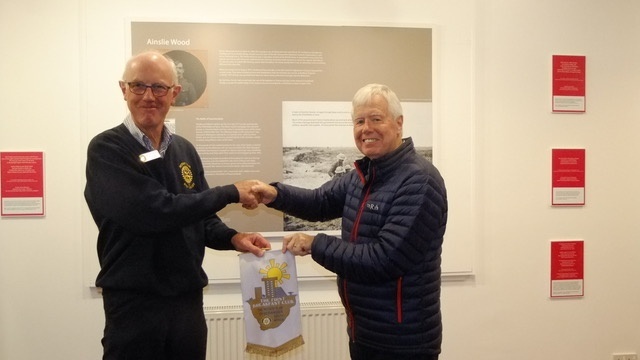 Guest, Arnold, hands over his Club Banner to President Gus at the Museum. Arnold has been a visitor to the Club over the last 2 summers during his holidays in Scotland from South Africa.